Fresh copies of Windows 7 will be landing in people’s mailboxes and reaching high street stores this week. Unfortunately for Microsoft, pirated versions of their latest operating system have been available in China for several weeks longer. At just $3, it is also significantly less expensive than the standard retail price. 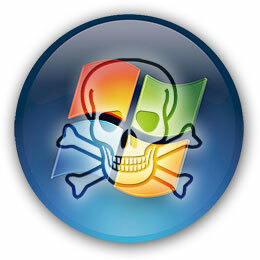 China is the world’s second largest PC market, but an estimated 80% of all software is pirated. The primary driving force behind the piracy is price: even Windows 7 Home Basic costs about one month’s income for a Chinese student. Microsoft have addressed software prices to some extent and slashed Office 2007 by over 70% last year. Nevertheless, it still compares unfavorably against the cost and widespread availability of pirated software. There are signs that law enforcement is improving — IT research company Gartner estimates that piracy rates will fall to 50% by 2012. That would put China on the same level as most Asian markets, but experts still recognize that piracy throughout the region is a long-term problem. For web evangelists, there is an obvious solution. Web applications and cloud computing can eradicate software piracy. A distribution model using micro-payments or advert-supported revenue could have more success at beating the pirates. Unfortunately, the internet is not available to the vast majority of Chinese residents, especially those in rural areas. Until fast broadband links are widely available, software piracy is likely to remain problem for Microsoft and many other companies.